Afghan President Ashraf Ghani said Monday that he would be attending the Heart of Asia conference this week in Pakistan. Ghani’s initial efforts to achieve a rapprochement with Pakistan fizzled earlier this year as peace talks with the Taliban, facilitated by Pakistan, fell apart. 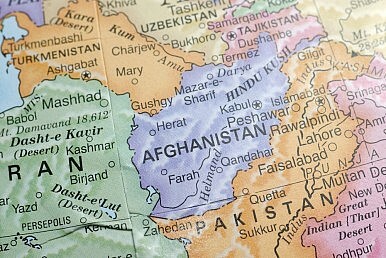 The confirmation that the Taliban’s leader Mullah Omar had died two years ago in Pakistan not only sidelined Afghanistan’s efforts to smooth relations with Pakistan but also fractured the Taliban. The Heart of Asia conference, part of the so-called Istanbul Process, will take place on December 8 and 9 in Islamabad. It is the fifth such ministerial meeting, with previous editions taking place in Beijing, Almaty and Kabul. At the heart of the Istanbul Process is an attempt to get regional states to work together on a multifaceted agenda that ranges from security to economics with peace in Afghanistan at the center of its efforts. Another high-profile attendee is India’s foreign minister, Sushma Swaraj. RFE/RL says that Swaraj’s attendance will mark the first time since 2012 a senior Indian government official will make an official visit to Pakistan. In August talks between the Indian and Pakistani national security advisers were canceled at the 11th hour. Last week, on the sidelines of the Paris climate change conference, Pakistani Prime Minister Nawaz Sharif met with Indian Prime Minister Narendra Modi and also separately with Ghani. Details on the content of those conversations are scarce, but likely involved mention of the upcoming Heart of Asia conference. Other confirmed attendees include the foreign ministers from Afghanistan, China, Kyrgyzstan, Iran, and Tajikistan. Khaama Press reports that representatives from Russia, Saudi Arabia, Azerbaijan, Turkey, Turkmenistan, Kazakhstan and the UAE will also attend. Peace and prosperity have long eluded Afghanistan. The hope remains for a political settlement with the Taliban, though that group’s recent fracturing delays such an outcome. In recent days reports have emerged that the Taliban’s new leader, Mullah Mansour, was injured or killed in a shootout outside Quetta, Pakistan where the organization’s leadership often gathers. The Taliban’s Delusion Hampers ReconciliationWhat Explains Afghanistan’s Early-2018 Surge in Violence?Afghan President Blames Pakistan for Sheltering TalibanWhy Did Afghanistan's Spy Chief Just Quit?The ‘Heart of Asia’ Conference: A Fresh Start?